Back problems and injuries are some of the most commonly diagnosed medical conditions after a car accident. These injuries can range from bruises, sprains, slipped vertebrae, herniated disks, and serious spinal cord injuries. The backbone is made up of a column of 33 bones and tissue and extends from the skull to the pelvis. Each vertebrae and disc in the spinal column is sensitive and serves a special purpose. When any of these vertebrae or disc are damaged, the resulting injuries can be incredibly painful and can take a long amount of time to recover. The value of your back injury claim will depend on the severity of your injury, how the injuries will affect you, and the details of your accident. The value of each case is determined on a case-by-case basis, but using existing case history, case law, and reviewing all the evidence related to your collision, we can assist you in evaluating the value of your claim. What damages can you be compensated for? 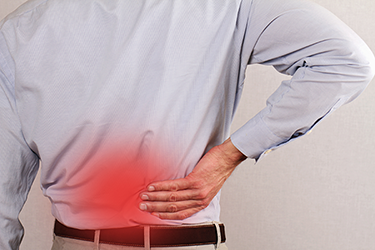 Compensation for back injury claims can include economic and non-economic damages. Economic damages are financial losses that you suffer as a result of your accident, such as lost wages from loss or suspension of employment. Lost wages can also be coupled with a reduction in your future earning capacity. For example, if you held a job that required physical activity and the repeated use of your back, chances are you may not be able to work at that job again, and that loss of future earning capacity can be factored into your settlement. Other economic damages can include the cost of child care, transportation, or other services that you had to pay for as a result of the accident. Economic damages also include your medical bills, including past, current, and anticipated medical bills as well. If you’re undergoing physical therapy for example, and it will take you time to recover, your attorney can help you determine those costs and build them into your damage model. In the case of a severe injury that requires extended, or a lifetime of care, a person’s damage model often times reaches into the millions of dollars. Non-economic damages on the other hand provide compensation for non-financial damages such as pain and suffering, mental anguish and physical disfigurement. Punitive damages, also called exemplary damages, are seldom awarded, and in fact, are very hard to get under Texas law, but should not be ruled out in cases of severe or gross negligence. These are cases in which the driver or person who caused the accident acted in such an outrageous, malicious, or intentional way, that additional compensation is merited in order to punish the wrongdoer. Even in these cases, most punitive damages can only be awarded after the case goes through a full civil trial and the jury determines that punitive damages should be awarded. These damages are awarded to punish the person at-fault and to prevent other actors from acting in the same way. Comparative, or contributory negligence, can also help determine the value of your back injury claim. In most states, you may be able to recover a settlement if the other party was at least 50 percent or 51 percent responsible for causing the accident. In Texas, this is called comparative negligence, which limits the amount you can recover in a back injury lawsuit. Texas law applies what is known as proportionate responsibility in all case. This means the amount of a plaintiff’s verdict is decreased by the percentage that the plaintiff was found at fault by the jury. For example, if you were found 20 percent to blame for the accident, you would receive 80 percent of the jury’s award. If you are found to be more than 51 percent responsible for the accident, you cannot recover anything, according to Texas law. We can help you understand how these types of damages work and ensure you receive a fair settlement for your back injury.